MEDICINE CARDS – What are these beautiful and fascinating cards all about? THE FOX: The fox is the first card in this mini-spread, and is one of the most interesting and mysterious of the totem animals. This card tells us that the questioner’s love interest may be trying to conceal their feelings while still protecting themselves from emotional vulnerability. This is sometimes common when relationships reach a certain point- there can be a ‘retreating’ or pulling back and/or mixed messages about where things are going. The Fox card in this position is not necessarily negative, but is actually positive in that it can help the questioner understand better that their love interest may be operating from a place of observing, and learning to trust, while still remaining in a place that is emotionally safe. The fox, as a totem animal, also reminds us that it’s a good idea to be discreet and careful when going into emotional relationships with others. THE BUTTERFLY: The butterfly is the second card and is the card of transformation- and also the ability to know the mind and learn how it can change and grow. When this butterfly is drawn in this position we must examine what we want and how we plan to get there. If you think of the butterfly’s life cycle- from egg to larve to cocoon, this ties to the fox card in a very interesting way. This tells me that although the questioner is asking about a relationship they are currently involved in, they are also trying to determine where their life in general is headed and are very interested in change and transformation in that area. The butterfly is about examining and getting clarity around your entire thought process; where do YOU want to go, and how does this relationship fit in with that? How can you and your partner move forward together and grow? The third and final card in the mini-spread is THE HUMMINGBIRD. This card is very important in the medicine wheel because it is associated not only with North American indigenous peoples but also with the Mayan peoples. The hummingbird in North American peoples is associated with a special dance that would signal a return of mystical and religious animals, and also a return to the ‘old ways’ which existed before European settlers arrived. In Mayan teachings, the hummingbird is connected to the “Fifth World”. The Fifth World is an article unto itself, but in summary is about changes to the human consciousness and also about transforming our world to more harmonic human systems. The hummingbird is a symbol of harmony and is also a very unique creature in the animal kingdom. The hummingbird brings life to other living things by its use of nectar and helps plants live longer as a result. The hummingbird can also fly in different directions and can move comfortably from one beautiful flower to another – taking in their beauty and also giving life without doing harm. The hummingbird card in this position tells me that the questioner and their love interest are very interested in becoming better people as a result of relationships- but both understand it can be fragile, just like these little birds are. A hummingbird will quickly perish if it’s placed in captivity- so it’s important for both of these people to have love yet a lot of freedom at the same time. This is a good card in terms of outcome, in that it would tell me that the questioner and their love interest have similar world views and once emotional trust is established (symbolized by the fox card), this pairing will be very happy and successful. This is a very brief example of what an interesting tool Medicine Cards can be. I very much enjoy working with them- and don’t really get to work with them online as much as I would like to. Many clients are just not familiar with these cards, but when they are given a reading with them, are really astounded and delighted at the insight they give. 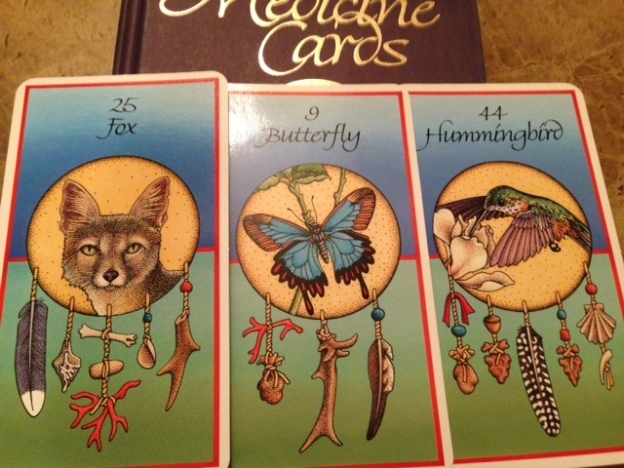 I also find Medicine Cards to be an excellent augment to straight intuitive/psychic readings. They are useful because they can help clarify issues in complicated emotional situations and also can present some great solutions to problems. The other thing I really enjoy about Medicine cards is that the cards are simply beautiful to look at. They include a broad range of animals; whale, deer, dolphin, frog, butterfly, otter, turtle, raven, to name just a few. There is also a tradition and superstition about Medicine Cards and how they should be obtained by the reader. Native Americans believe they must be GIFTED to you by someone else in order to have the most power. My cards were given to me by a very special friend and for that reason I also enjoy using them to help clients. 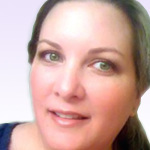 I would enjoy introducing LifeReader clients to Medicine Card readings online. If you would like to explore this method of readings, please contact me through my LifeMail in-box. I prefer to do these readings via email, that way I can photograph your card spread for you. I also like to do these readings via email because then I can give you more detailed interpretations of the cards in written format, so that the reading and images of the cards can be saved by you for future reference. Disclaimer: Again, the term “medicine card” comes from the North American indigenous peoples’ “medicine wheel” and is not associated with any kind of medical diagnosis/treatment. If you need medical advice, please see your physician. This entry was posted in Cards and Divination, Empowerment, Prediction, Tarot on January 1, 2014 by Willow.